FishYourDream AB is a Swedish company in sportfishing tourism founded in 2006. 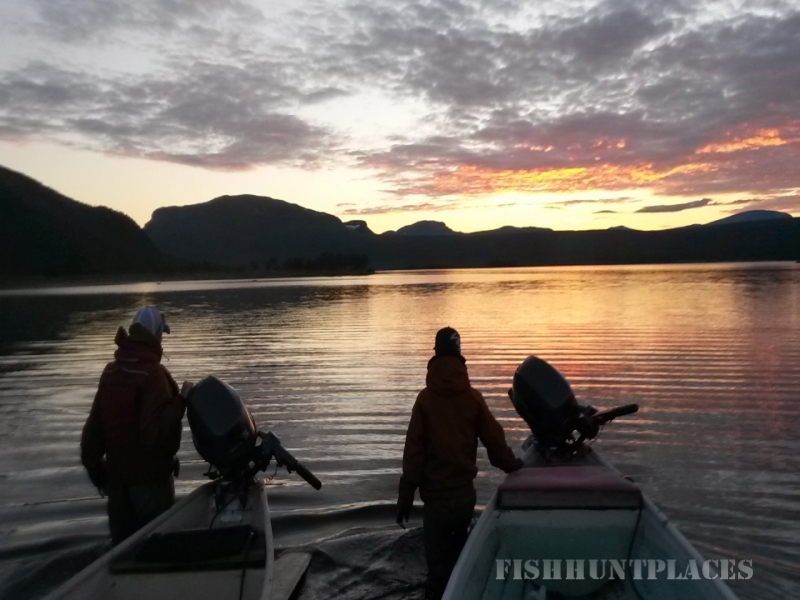 We supply clients with fishing guides, accommodation, gear, food, transports and hospitality. 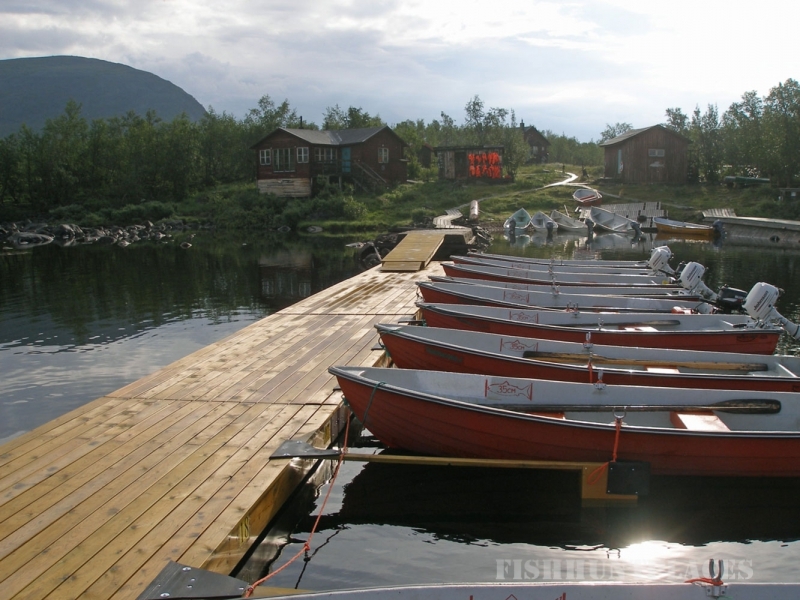 We have three main destinations, Gotland, Sweden´s largest island where we target sea run brown trout, Lodge Ammarnäs in Swedish Lapland and Camp Tjuonajokk, famous fishing lodge by Kaitum River, above the arctic circle. 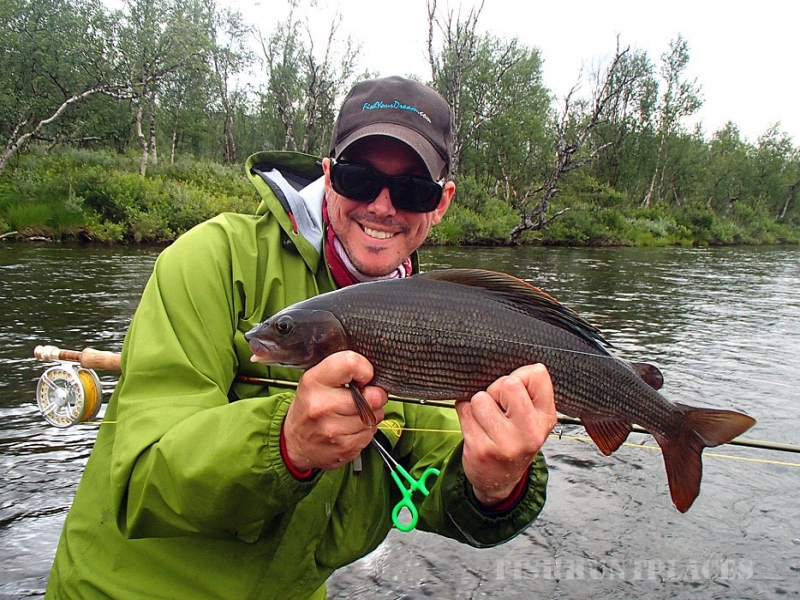 River Kaitumälven is famous for its world class population of grayling, and the biggest fish caught is over 2 kg. Brown trout is found in many places and specimens around 70 cm is caught every year. Char is found in some areas, especially early in the season when water is cool. 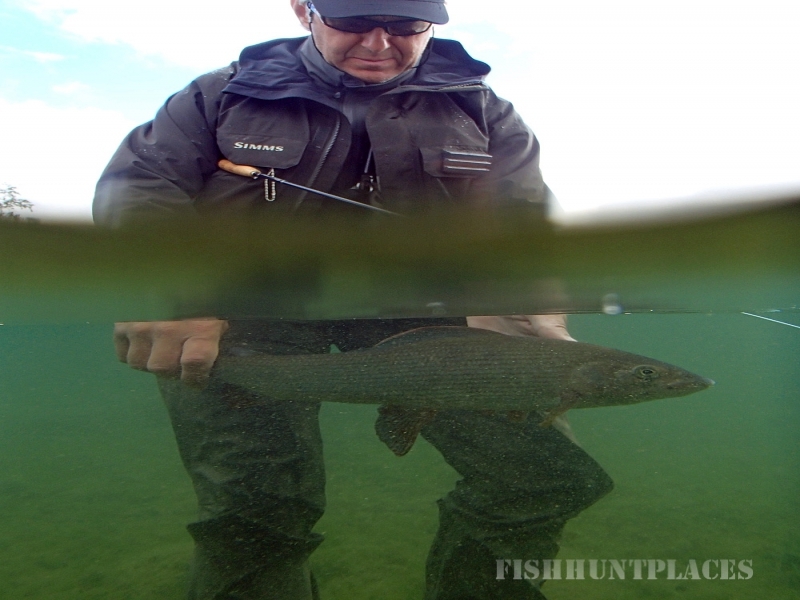 Finally pike up to 100 cm, both in lake Kaitumsjön and the small lakes in the valley. The Camp Restaurant offers regional specialities and an opportunity to wine and dine in fine style, even in this remote region of Lapland. There is a small shop with tackle, flies and other essentials. We have a fleet of rental boats which are recommended for easy transportation up and down the river. Professional fishing guide service. Fly fishing: 9-10 ft, 5-7 weight single handed rod, with sinking and floating line on reel with 50 yds of backing. Leader: 4-12 lb. Fly patterns: brown, grey and dark-hued caddis, hook size 10-16. Klinkhammer patterns with beige, orange and olive bodies, and dark hackles. Nymph patterns such as Pheasant Tail, Partridge & Orange, Hare´s Ear Gold Heads etc. 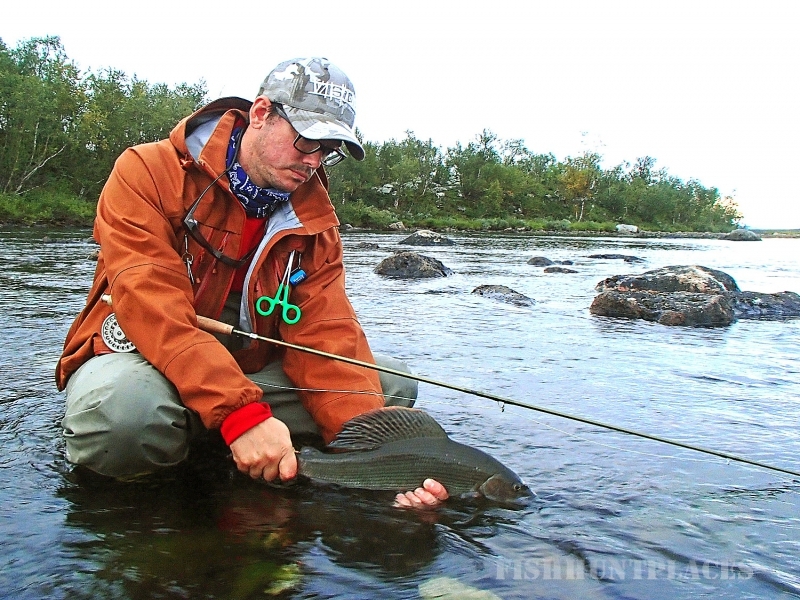 You need a valid fishing license to fish in river Kaitumälven by Tjuonajokk. We strongly recommend Catch & Release, and an occasional fish can be kept and consumed while in camp, but no fish are allowed to be brought home.